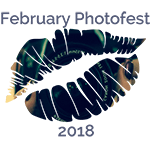 Yay, it’s Feb Photo Fest!! I did this for the first time last year and I loved it! 28 days of photo sharing begins NOW! And we’re starting on a Thursday so I can begin with one of my favourite parts of this challenge: Throwback Thursday! and what a cute bow it is! i love how you start all of your posts with a quote! WOW, Livvy, the edit is gorgeous. Really love it! Stunning photo, can’t wait for Day Two at Livvy’s.